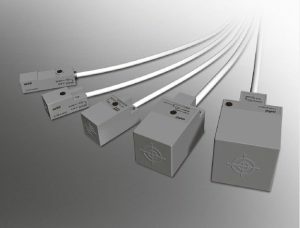 FL2R and FL2S Series DC 2-wire Square Proximity Sensors. The FL2R/S series is a DC 2-wire square proximity sensor that can be directly mounted to a programmable controller or N.C. unit. A wide variety of models are available for this series including 4, 7, 12, and 20 mm sizes, top or side sensing, high seal IP67, and NO or NC operations modes. Both pre-leaded and connector versions are available.